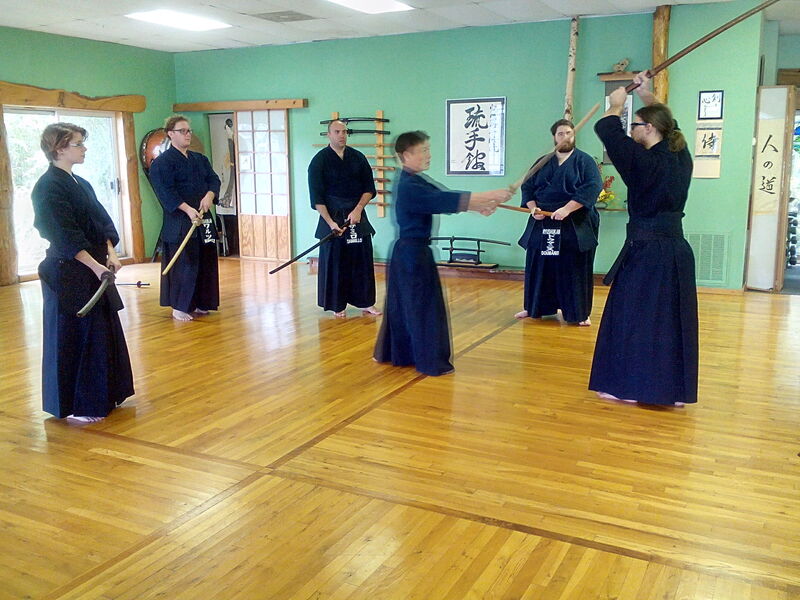 The art of Japanese Samurai Swordsmanship is rooted in the traditions of “Bushido” – the Way of the Samurai. “Ken” means sword, “Do” means ‘way’ or ‘path’ = “The Way of the Sword”- So Kendo is “a pathway” which when followed will lead you to a better place in life, that is, an improvement in character, strength and spirit. The concept of Kendo is to polish the human character through the application of the principles of Bushido. 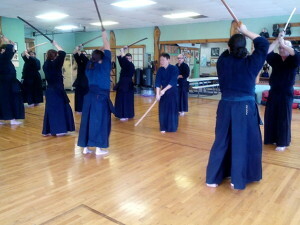 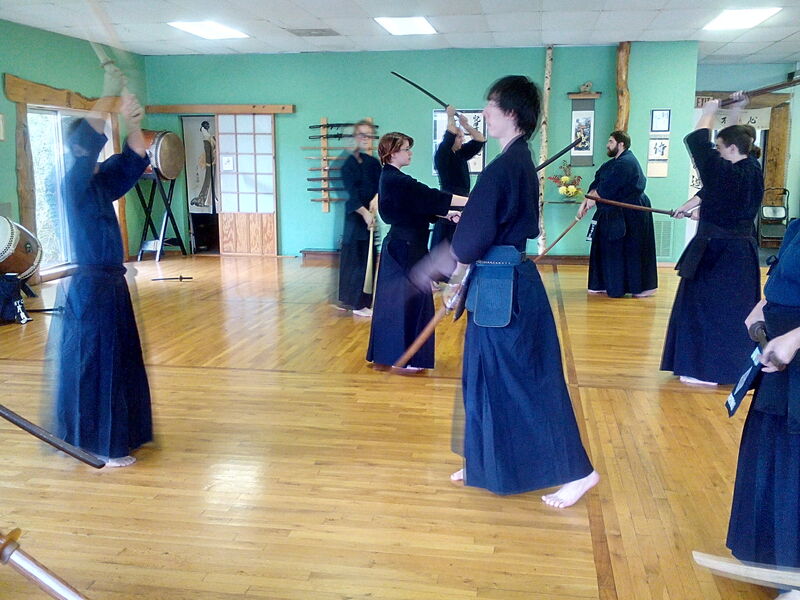 Kendo, like other martial arts, requires discipline and a dedication to training. 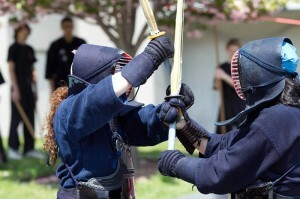 It is both exhilarating and demanding to learn. 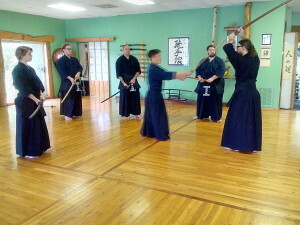 A new student begins with learning the basics such as: etiquette, footwork, and how to swing a sword properly. 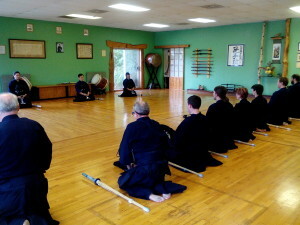 The student progresses through a series of skills preparing them to begin training with armor (bogu). Kendo began to take its modern appearance during the late 18th century with the introduction of protective equipment: the ‘men’ (helmet), ‘kote’ (gloves) and ‘do’ (chest plate) and the use of the bamboo sword, the ‘shinai’. 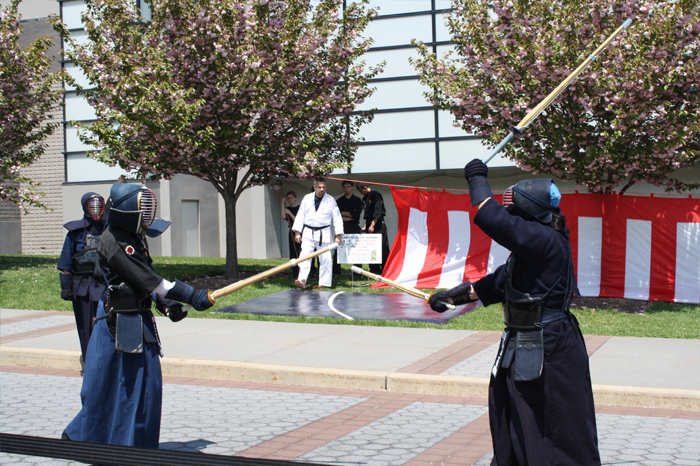 The use of the shinai and protective armor made possible the full delivery of blows without injury. 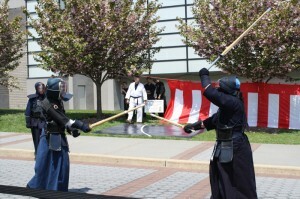 This predicated the establishment of new regulations and practice formats which set the foundation of modern Kendo.